For decades, fossil hunters combing the soil near a creek in north-central Illinois have been rewarded with the preserved remnants of a prehistoric creature. Its wide-set eyes were on stalks and a long, arm-like appendage extended from below them with a pincer-like mouth. 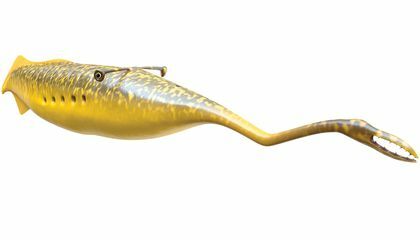 There was no doubt that the Tully monster, Illinois' official state fossil, was "very, very bizarre." This is according to Scott Lidgard, a paleontologist at Chicago's Field Museum. But no one could say exactly what the soft-bodied creature was. The abundant plant life eventually became coal. Eons later, strip mining dug up piles of earth and shale - and fossilized prehistoric life. Paleontologists consider the area a treasure. That is because of plant and animal life that was, for reasons not fully known, set in stone quickly enough before decay could set in. An amateur paleontologist named Francis Tully unearthed the first Tully monster. It was in 1958. 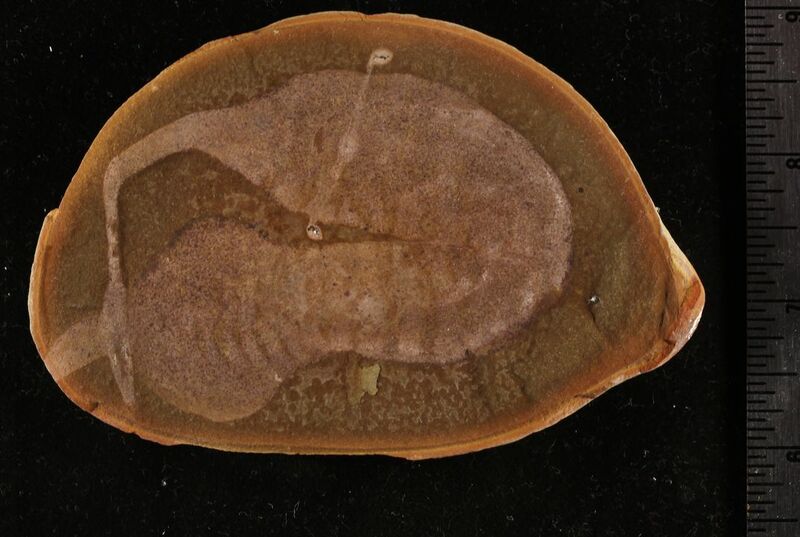 Thousands of other examples have since been found by fossil hunters combing the area. Much of the area is now set aside as Mazonia-Braidwood State Fish and Wildlife Area. But those who know where to look - "they do have their (secret) spots," Schmidt said - can still find plenty. They leave with oblong nodules of rock. Some, when broken open, contain fossils. Often it's plant life, like prehistoric ferns that are hard to imagine on Illinois' prairie. I think it is cool that the Tully monster is Illinois state fossil. I like this story. I like this story because I like reading about odd things. Did you know that Michigan's state fossil is Mastodon? No I did not know that Michigan's state fossil is Mastodon. The Tully creature is called a monster because it is many millions of years before the dinosaurs. The Tully monsters are thought to had lived, "300 million years ago, [where] the spot was a warm coastal marsh along a long-gone sea near the equator. [...] Tyrannosaurus rex didn't come about until roughly 67 million years ago." (paragraph 6). Since the creature had lived about 233 million years before the dinosaurs, Tully monsters can not be called dinosaurs. This is because dinosaurs and Tullys lived in a different era all together. Because of this, and because of how much farther Tully monsters lived from our era, Tullys are called monsters. I thought this article was very interesting and found that paleontologists finding 300 million year old creatures very surprising. it is called a monster because it has a a thing thing to pinch you with and string you. The creature is called a monster because it looks unusual.Also, the animal has a vertebrate and lives in the water. That is like what I said. Me and you must think alike. i think it is good because it gives text evidence, but I think I should of put more evidence. Those things are creepy. I would never want to meet one in real life. I'm glad they are extinct. it was a beast and very big. The tully is called a monster because it is different than other organisms found. It is also maybe because of how old it is.